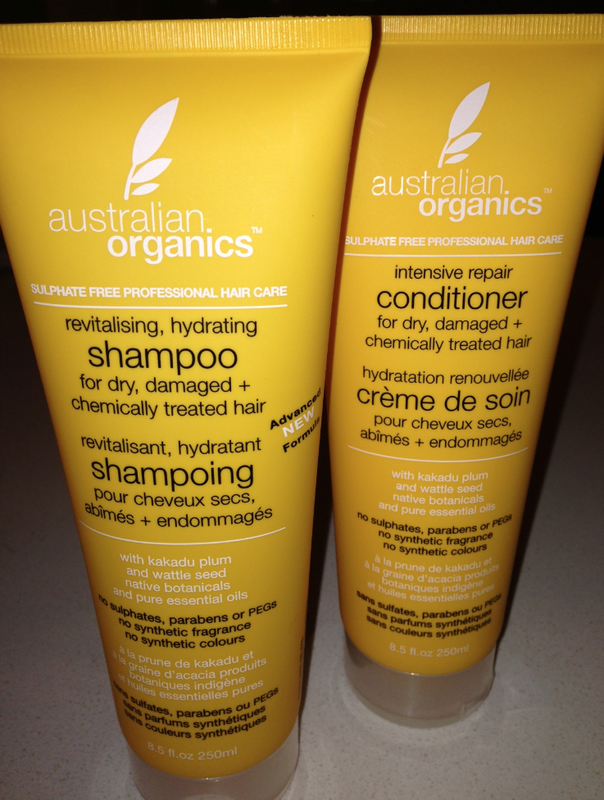 As a supermarket find I was pretty excited to give Australian Organics Revitalising Shampoo and Intensive Repair Conditioner a trial. None of the nasties – no sulphates, no parabens, no PEGs, no synthetic colours, no synthetic fragrance, no phthalates, no animal ingredients, no animal testing. And plenty of good stuff – 100% vegan and made with native botanicals, antioxidants, vitamins and pure essential oils. There’s not much you can say about testing shampoos and conditioners – you rub them in, wash them out, rub them in again … you get the picture. But I will just say that they lathered really well and the smell was just divine. It smelt very natural and not chemical at all. As an everyday shampoo I give them a big thumbs up – and an extra thumb for being the bargain price of just $8.99 each. For my hair however – which by my own doing has been very mistreated over the years – they were not quite rich enough so I will have to keep searching for a cruetly-free solution that will bring my dried up locks back to life. In the meantime however I do keep these in my gym bag for washes on the go, and also use them for my little girl as they are wonderful on her hair. Australian Organics Revitalising Shampoo and Intensive Repair Conditioner are just $8.99 each and are available in Coles Supermarkets in Australia, and in Tescos Supermarkets, John Lewis Department Stores and Holland & Barrett Health Food Stores in the UK.